Nimbin Tours Accommodation, Nimbin and Mt. Warning stopovers. Take advantage of Nimbin Tours "Chill or tour" option, if you can't decide which of our amazing stopovers to choose from, do both! Come and stay at one of Nimbin's friendly hostels or campgrounds surrounded by amazing scenery. 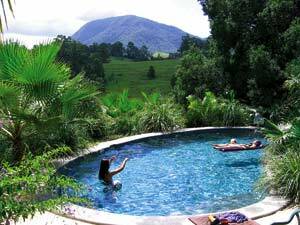 Climb Mt Warning and stay overnight at Mt Warning B&B retreat. 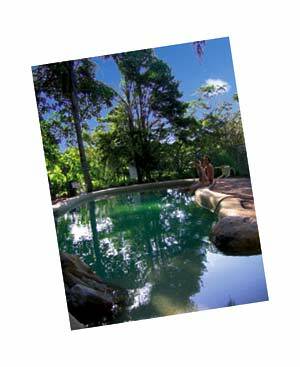 Short walk to Nimbin, a number of different accommodations available including camping. Close to town, camp by the creek, cabin and dorm style accommodatkion available. Nimbin style hostel, close to town, stunning views. Look out over Nimbin to the Nimbin Rocks, live bands, good food. Short walk to town, comfortable motel style accommodation. Located on five acres of beautiful riverside gardens and rainforest, just 5 minutes drive to Mt Warning National Park.